Ford, Chevy, GMC, Toyota and Nissan offer lease and financing deals on full-size trucks. These are the best lease and financing deals on full-size trucks in October. Incentives vary by region, so always check with a local dealership. Motor carriers and shipping companies placed a record number of orders for heavy-duty trucks in August to keep up with growing freight demand. Strong freight demand and a healthy economy pushed first-quarter orders for heavy-duty trucks to their highest level since 2006. 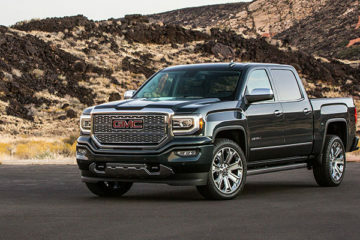 After running flat last year, the midsize pickup truck market has suddenly become one of the hottest segments of the auto industry. February orders for new trucks in the heaviest Class 8 weight segment are surging compared with year-ago levels. Sales of used trucks in the heaviest Class 8 weight segment dipped 1 percent in 2017 compared with the prior year, according to ACT Research. Orders for new trucks in the heaviest Class 8 weight segment dropped in November, but continue to significantly outperform last year’s sales. Orders for new trucks in the heaviest Class 8 weight segment continue to outperform last year’s sales, increasing month-to-month and year-to-date. A big US Xpress order for International trucks from Navistar is an example of how the Class 8 vehicle market is poised for growth. New reports suggest that economic conditions are ripe for light trucks and SUVs to continue to dominate the automotive landscape. Several disparate factors indicate the used truck market could be starting to stabilize, according to several reports issued over the past week.